Disasters, natural and otherwise, are an often tragic part of life. TechnoBuffalo isn't a charity organization or even a global news site, but we'd be remiss to ignore the larger goings on in the world just the same. What's going on in Japan is far from the only situation in the world currently worthy of our collective attention, but "Japan" and "technology" are forever wedded in many of our minds, and more than one of us at TechnoBuffalo has personal links to the country. So we decided to do a quick roundup of some easy, online ways you can contribute to the Japan Quake relief cause if you so choose. This is not a comprehensive list, nor does it mention every tech-related company who's giving money or trying to help in other ways. Please use the comments to add to this list with links to any other organizations accepting online donations if you know they're legit. Please also beware of bogus, non-legit sites set up to defraud you for non-charitable gain. As always use caution when surfing the Web with your credit cards in the air: don't give money or personal information to anyone or anyone's Website unless you know they're trustworthy. The Red Cross is accepting donations online or via text message. Text REDCROSS to 90999 to donate $10 from your phone (they use a two-SMS confirmation system). Apple is also accepting donations on behalf of The Red Cross via iTunes. The Salvation Army is accepting donations online or by texting JAPAN or QUAKE to 80888 to make a $10 donation. ShelterBox is a UK-based organization that delivers large utility boxes each containing a shelter and other emergency-relief tools. Their website is organized by country; US residents can donate via this page. Doctors Without Borders is now working in Japan, setting up mobile clinics in areas rendered unaccessible by road by the Quake and Tsunami. They're accepting donations online. Capcom is donating all proceeds from sales of Street Fighter IV for iPhone during the period March 15 – 22 (this in addition to a lump sum donation from the company). Facebook's Global Disaster Relief "Causes" page lists a number of organizations and individuals who have set up giving programs you can participate in. Note that this page also serves as a news feed for disaster-related stories, so you'll have to do some sifting to find ways to give. Social gaming juggernaut Zynga is donating proceeds from sales of a number of new FarmVille, CityVille and other in-game items. 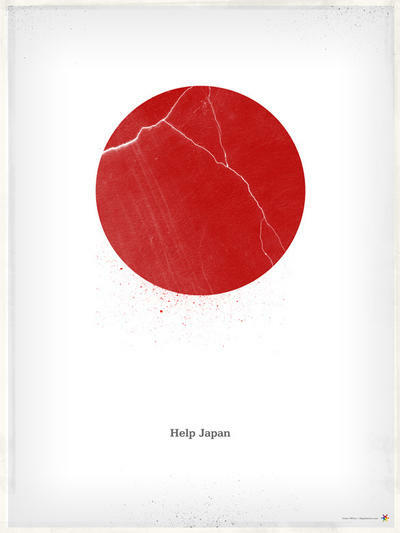 They've also set up a page for online donations to the Japan Earthquake Tsunami Children in Emergency Fund. Groupon is offering a way to donate to International Medical Corps' relief efforts in Japan. HelpAttack has organized Facebook and Twitter-based giving to the Red Cross via its site.